a few days ago we posted about the brief demise of éS. As far as anyone can tell SoleTech isn’t going anywhere so perhaps the one day we will see another Accel (in a Vegan Colorway). Anyhow, here is the post from éS. Last week, it was announced that éS is going on hiatus at the end of Spring 2012. This is a painful decision for everyone involved, and judging from the overwhelming amount of email, Facebook and Twitter support we’ve received in the last week, our fans, retailers and supporters are bummed as well. éS has been providing skateboard-specific footwear since 1995. 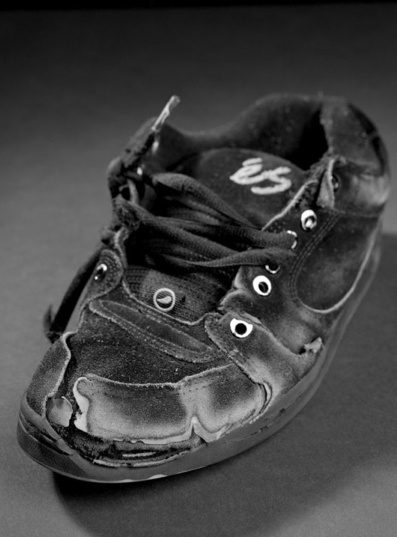 The goal was to make the best shoes we could to support the needs of skateboarders. We’re extremely proud of our legacy in footwear and apparel design. We are proud of our riders, videos, tours and the positive and progressive effect we’ve had on skateboarding. From now into Spring 2012, business continues for us. We will continue working with our team riders and everyone associated with the brand through this transition. You may see a bit less from us in the magazines and online, but we will continue to support the thing we love the most, skateboarding, the best we can. éSskateboarding.com will be honoring the brand’s history through it’s timeline, product archives and retrospective content in the coming months. éS began for the love of skateboarding. 16 years later, we still love skateboarding just as much, if not more than ever before. Wear your éS with pride and know that we appreciate everyone who has worn down our rubber, kickflipped through our suede and enjoyed time on a skateboard with us. And remember, if you love something; support it before it’s too late.